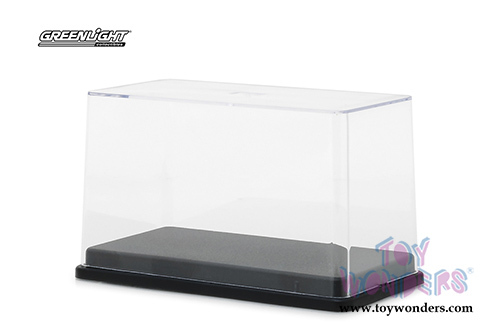 55025 Greenlight - Acrylic Display Case with Plastic Base. 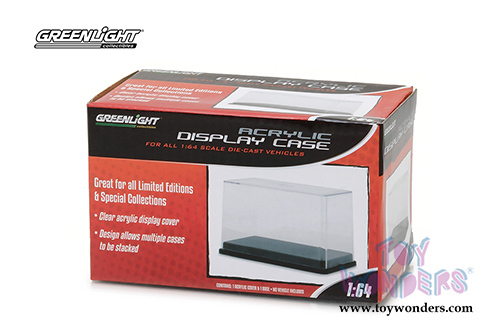 It features displaying 1:64 scale vehicles, clear acrylic cover. Design allows multiple cases to be stacked. Show case measures 5"Lx 2.5"Wx 3"H. Individually packed in a box. Box size: 5.25"L x 3"W x 3"H. This accessory is manufactured by Greenlight.